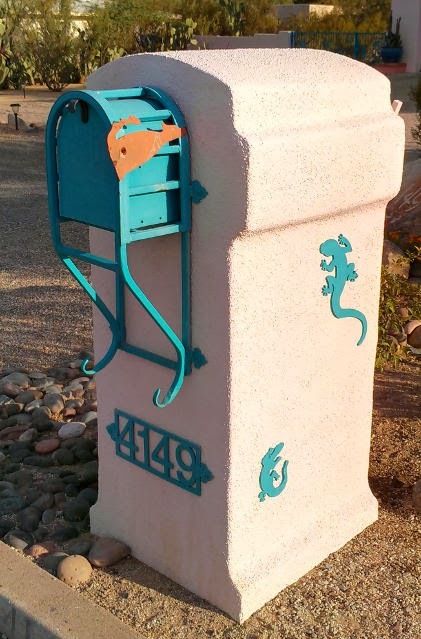 If you came to the blog today looking for a heart-shaped (Valentine's) mailbox, sorry. The best I can do (this year, at least!) is a pink post. The box and the rest are turquoise-colored. The “Location” box, where you can usually click to see an address, doesn't seem to be working as I post this week's entries. So here's a clickable address: 4149 E. Holmes.